A collection of tools for extracting structured data from < https://www.reddit.com/>. An R wrapper for Reddit API. This package can be used extract data from Reddit and construct structured datasets. reddit_urls - used to extract URLs of Reddit threads of interest. reddit_content - used to extract comment attributes from a Reddit thread. Use URLs extracted from reddit_urls. construct_graph - used to plot Reddit structure using the structure variable from reddit_content output. Make sure that you only feed a single thread into this function. 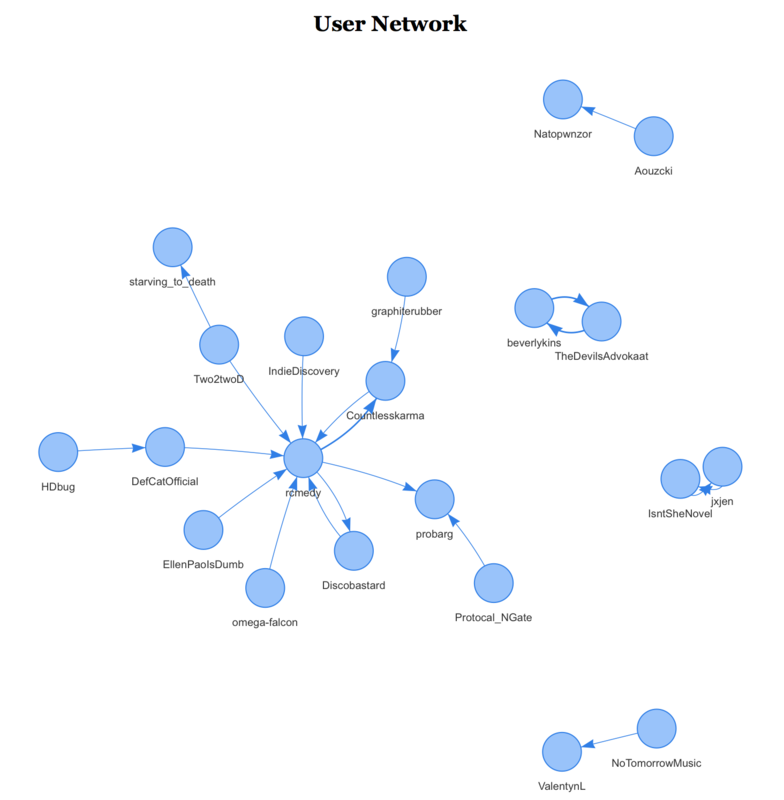 Lastly, the user_network function can be used to build a user relationship network for a thread.